On Friday, after accompanying Wirral West MP, Esther McVey to a morning assembly at Weatherhead School, at which she talked of her inspirational ‘bookazine’ “If Chloe Can’ and in my capacity as Wirral’s Cabinet Member for Housing and Community Safety, I went along to the official opening of Willow Bank, the new Housing 21 extra care facility for older people based in Gorsey Lane. The Mayor and his consort were present, and I also met up with Cllr Denis Knowles and local campaigner, Geoff Dormand. After the usual speeches and a lovely buffet lunch, those who wished to, were given a guided tour of the complex. It is clear that no expense has been spared and the individual flats are state of the art with everything an older person would need. Speaking to the residents, they spoke as one in saying they are extremely happy to have ended up in such a great complex with caring staff and tremendous neighbours. This really is a facility and more importantly a community to be proud of. Its Taken Just Over Two Years But! Readers of the blog and the wider Moreton community may be aware, and may recall the drugs raid that took place resulting in a closure order at 94 Curlew Way, Moreton. It has taken a lot of time, and a few emails encouraging Wirral Partnership Homes (WPH) to bring the house back into use. Well, finally I am delighted that WPH will be starting work on the house in early 2011 and hope to have it back in use with a family in residence by March 2011. Some things are worth waiting for, however I still think two and half years is far too long…….. This morning, in my role as the Council’s Cabinet Member for Housing and Community Safety I was delighted to open a stakeholder event about Healthy Homes. Healthy homes is a new way of delivering front line services to some of Wirral’s most vulnerable individuals by bringing a wide range of partners together to address a range of factors that can impact on their health and wellbeing. It’s primary aim is addressing health inequalities by ensuring an effective, targeted and co-ordinated response to an individual needs via an outreach approach; an approach which embraces the spirit of localism, efficiency and joined up working. Staff from the Council’s Housing, DASS and Community Safety Teams are working together with the Police, Fire Service and agencies such as Energy Projects Plus, Involve North West and VCAW to engage difficult to reach groups and ensure help is accessible to those who need it most. This initiatives support Wirral’s Sustainable Community Strategy, LAA and Corporate Plan by contributing directly towards key improvement targets for the borough. The inititive will help to improve the health and well being for all, ensuring people who require support are full participants in mainstream society, contributing to a prosperous economy and regeneration objectives and helping to create a clean, pleasant, safe and sustainable environment in Wirral. Earlier today, along with the shopkeepers who trade on Town Meadow Lane in Moreton, I met with Brian Simpson, Chief Exec of Wirral Partnership Homes (WPH), Steve Eaves, Regeneration Manager (WPH) and Maria Killick of Ainsley Gommon Architects to look at some early options for the long overdue redevelopment of this site. The meeting, the second with the shopkeepers looked at various possible layouts for redevelopment. Lots of discussion was stimulated about the potential locations of the shops, parking and size of units and whilst it is moving the issue forward still leaves a lot of work to be done. However I really believe that this time WPH are serious about doing something positive on this site. I will do all I can to make this happen. It’s Welcome, But Sadly It won’t Make Much Difference! I read in today’s Daily Post that Wirral is to receive £1.4 million to build 23 new homes, 4 in Wallasey, 5 in Bebington and 14 in Prenton. Whilst this is a very welcome pot of cash, I have to ask what effect that will have on Wirral’s ever growing social housing waiting list, with 17,717 registed on the database as at 01 January, 2010? 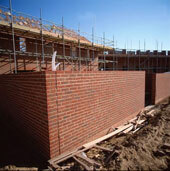 In 1997 Wirral’s housing waiting list stood at 4,979, in 2007 it had trebled to 15,066 and in the last two years has grown by another 2,615 to almost 18,000, that is epidemic proportions. If this list is to be reduced by substantial numbers, then Wirral’s Responsible Social Landlords (RSL’s), and the Council really need to get together and look quite radically at a strategy that will really make a difference! Readers of the Blog and the Moreton Community will be aware of my continuous campaign, first with the Council, then since stock transfer with Wirral Partnership Homes (WPH) to tackle the derelict maisonettes in Town Meadow Lane This is a site that is crying out for re-development and could provide between 30/35 new homes. There are many sites like this across the borough and all need to be explored to try to reduce, what I believe is a totally unacceptable amount registered on the Wirral Homes database. Hopefully The Beginning of The End? 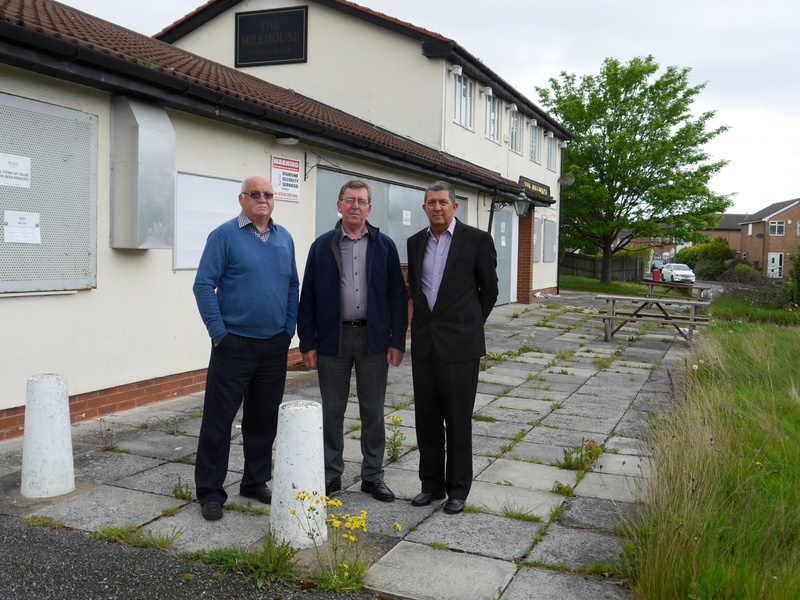 This afternoon, along with my colleague, Cllr Steve Williams and the three shopkeepers who trade from premises in Town Meadow Lane we met with Brian Simpson, Chief Executive and David Rooke, Director of Regeneration for Wirral Partnership Homes (WPH) to discuss the future of this site, and the ongoing problems the shopkeepers face on a day to day basis. I felt the meeting was a very positive one, with very good input from all the participants, and it was clear to me that both Brian and David recognise that some action needs to be taken at this location, however like most businesses, it comes down to funding. Moving forward, Brian and David will be putting various options, that may be worthy of further investiation to the Board of WPH in January or February, 2010. They have also agreed to continuing dialogue with traders and Ward Councilors. I really hope that we are seeing the beginning of the end of an issue that has been a real problem to the Moreton Community. 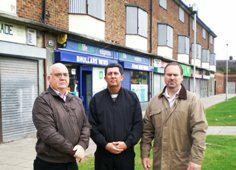 As ward Councillors, me, Simon and Steve will do all we can to support the traders and WPH in bringing some type of redevelopment to this location.